Afinox - Infinity - Multi-function blast chiller, from blast chilling to cooking. INFNITY: more than a blast chiller, it is a 6 in 1 multifunctional assistant with touch screen system that guarantees the best performance throughout the entire Cook & Chill process, from the blast chilling of the product to its cooking. It is the top of the range in the category, it is available in the Start variant (“cold” functions only) or All-in-one (with “hot” cycles). Infinity software is available in Gastronomy or Pastry versions, with programs and functional features specific to your work. The capabilities of this innovative tool range from the 5-tray model, ideal for small businesses, up to blast chilling 120-tray cells destined for large distribution, canteens and collectives. 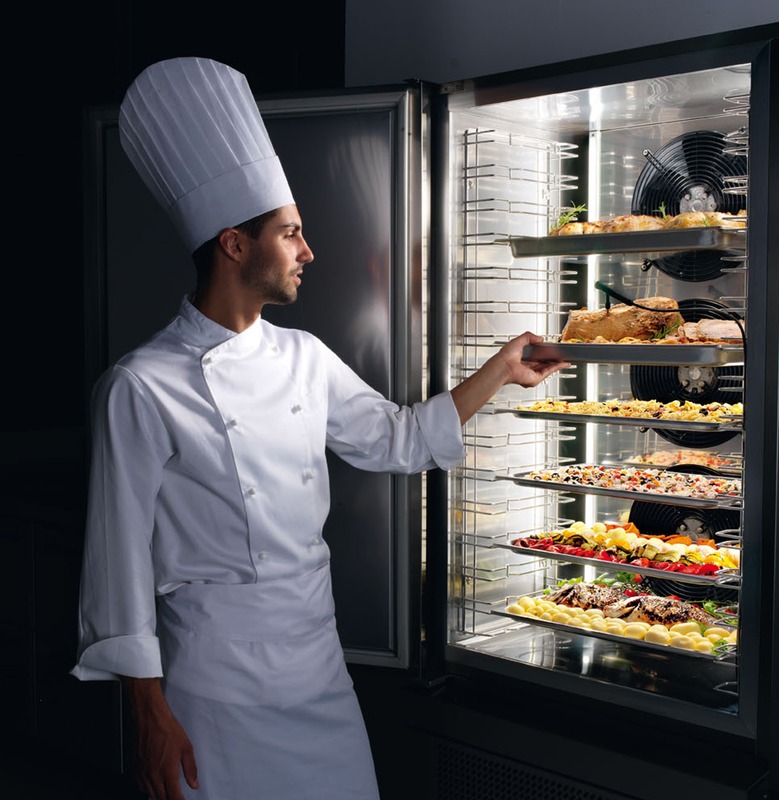 Three menus, seven cycles, endless work combinations: more than just a simple blast chiller, Infinity is the essential helper for every restaurant professional. Practical, safe and intuitive, it enhances the freshness and flavor of the dishes while ensuring total food control at every stage. Not just cold function, this innovative clast chiller is also provided with a low temperature cooking function (slow cooking). The Infinity blast chiller is the ideal tool for rationalizing costs and working times, as well as the most practical solution for all your cooking needs: excellent results with minimal waste. Ask for more information to find out the latest news from Infinity, the new blast chiller made in Afinox.